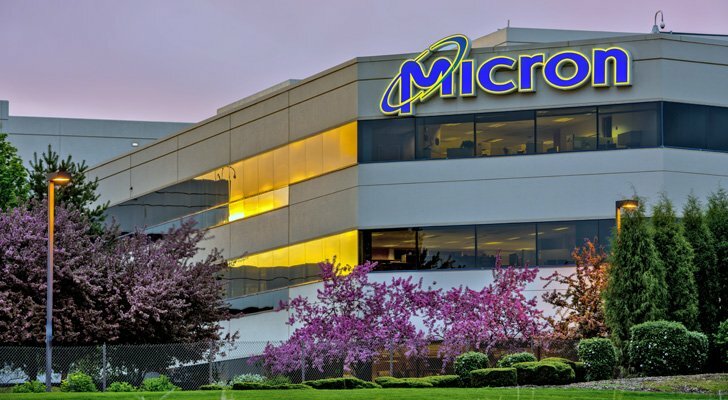 Shares of Micron Technology, Inc. (NASDAQ:MU) got hammered yesterday after UBS slapped a sell rating on Micron stock owing to pricing concerns. MU has now fallen nearly 20% over the past 10 trading days since closing at a multiyear high of $61.07 on March 21. Some of the carnage is warranted as Micron stock had been a big out-performer recently. I now feel that the selling is getting way overdone and look to be a buyer on further weakness. In my previous post on Micron stock from March 12, I had a decidedly bearish viewpoint on MU shares when they were trading at the $60 area. That view proved to be prescient as Micron stock has subsequently fallen sharply. Now that Micron stock is priced below $50, my bearish outlook has tempered dramatically — because price does matter. The drubbing over the past couple weeks has taken Micron stock to a P/E multiple of only 5.96, dirt cheap even by MU standards. Granted, earnings last quarter missed by a penny, coming in at $2.82 per shares versus analyst estimates of $2.83. But the price paid by MU shares for a penny earnings miss is certainly beginning to reach extremes that even former bears like me find intriguing. On a technical take, Micron stock is getting extremely oversold, with MACD now at the lowest levels over the past year by a wide margin. A 20% drop in two weeks time also smacks of capitulation. Click to EnlargeThere is also major downside support lurking at the $47 level in addition to the 100 day moving average of $46.72. The implied volatility (IV) of MU options is at the 39th percentile, meaning option prices are just slightly cheap. This favors spread strategies when constructing trades. So to position for a short term counter trend rally in Micron stock, a call calendar spread makes intuitive sense. Maximum risk on the trade is $1.20 per spread. Ideally Micron stock closes near $55 at April expiration to realize the maximum gain. The trade structure also allows selling additional shorter-term weekly calls if the April options expire worthless to harvest even more premium. Tim may hold some of the aforementioned securities in one or more of his newsletters. Anyone interested in finding out more about Tim and his option-based strategies can go to https://marketfy.com/item/options-and-volatility/. Article printed from InvestorPlace Media, https://investorplace.com/2018/04/micron-technology-inc-mu-stock-chips-pot/.